There’s a place that’s sunny and beautiful where the ocean breeze sweeps through the swaying palm trees. 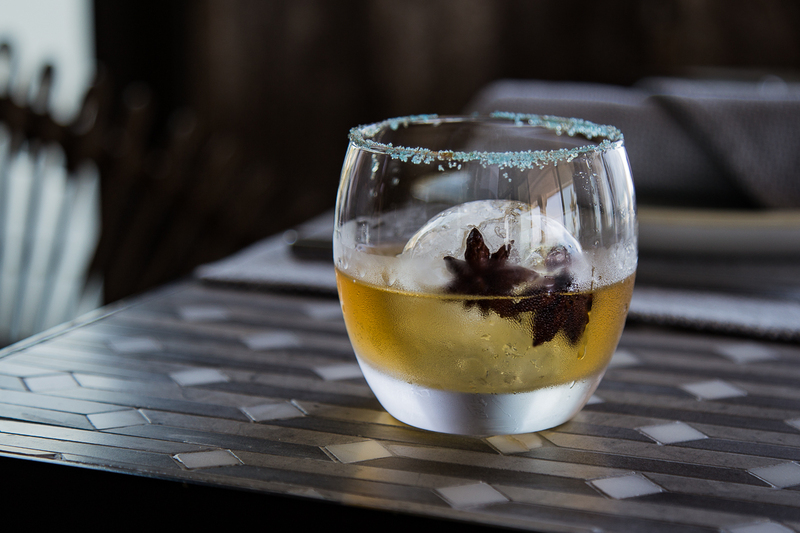 You relax by the pool, looking out to the Sea of Cortez while drinking a perfectly made cocktail. You sip, savor, and unwind, listening to the roaring sound of the waves crashing on the shore. This is the ultimate getaway in a real life paradise - and it’s only a two hour plane ride from LA. 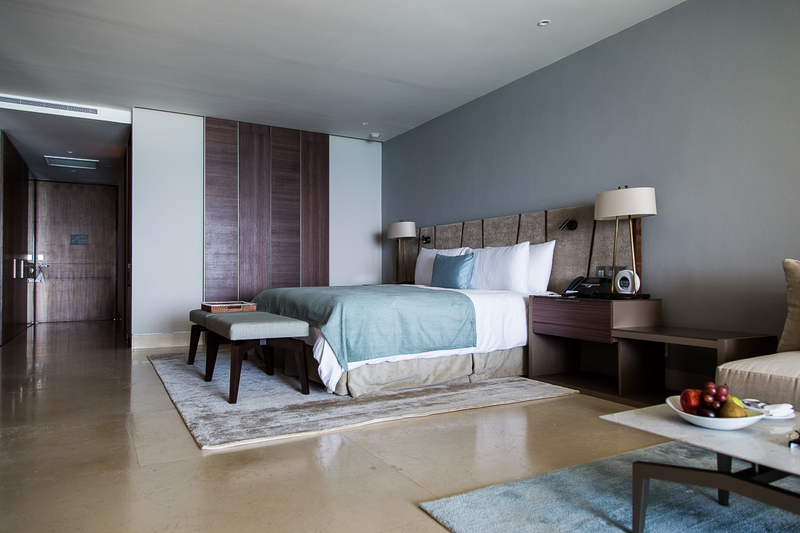 Welcome to Grand Velas Los Cabos. View from guest room suite balcony. 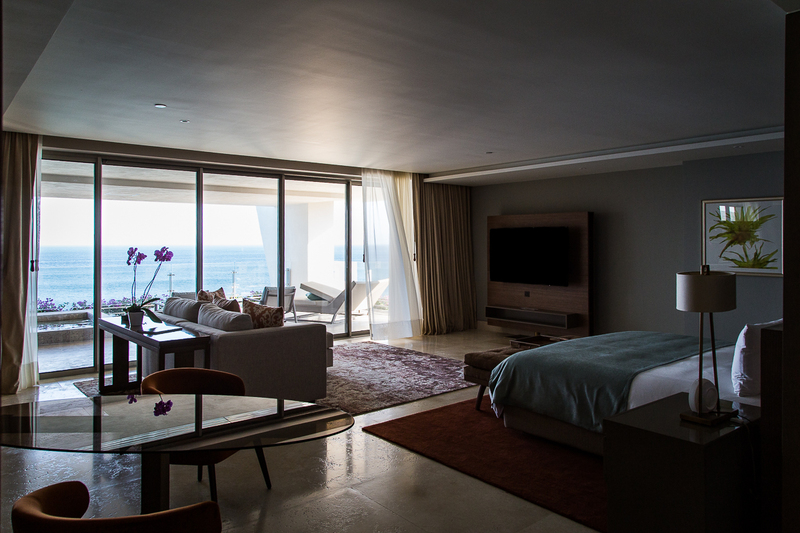 The newly opened beachfront resort is your ultimate luxury escape, boasting dramatic ocean views and unique spaces throughout the property. As soon as you walk through the impressive open-air entrance that’s over three stories tall, your eyes catch views of the water while you stand 300 feet above sea level. 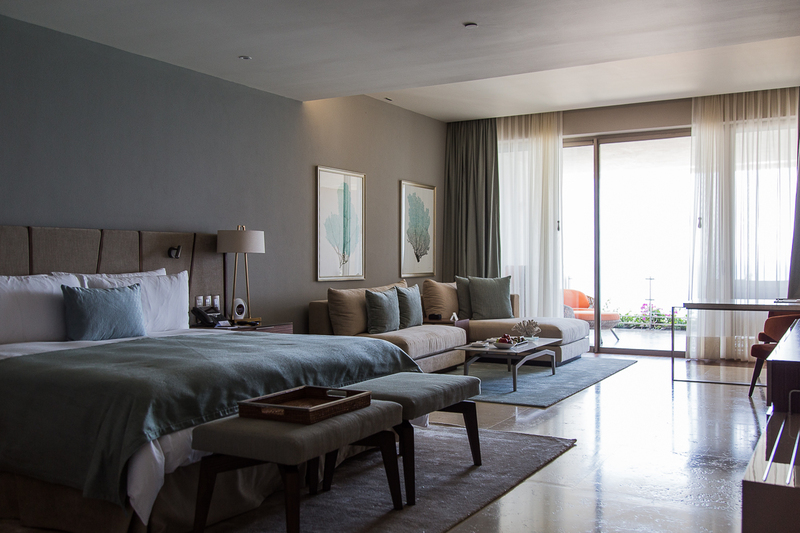 Grand and spectacular are understatements, as you check-in to one of 304 ocean view suites with private terraces and some with personal plunge pools. Ambassador suite - smallest guest room but still 1,180 sq. feet with ocean views and a jacuzzi tub. 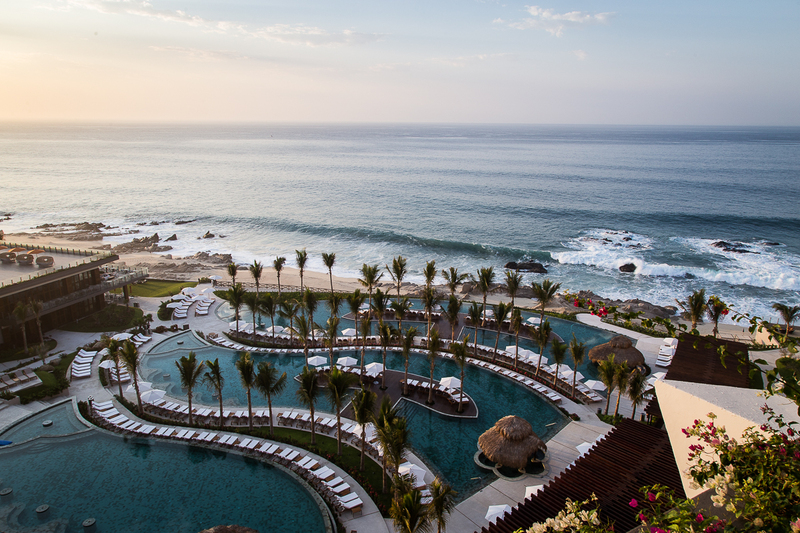 Beyond all-inclusive is the experience at Grand Velas Los Cabos. Yes, I know you have experienced all-inclusive before, but trust me, not like this. 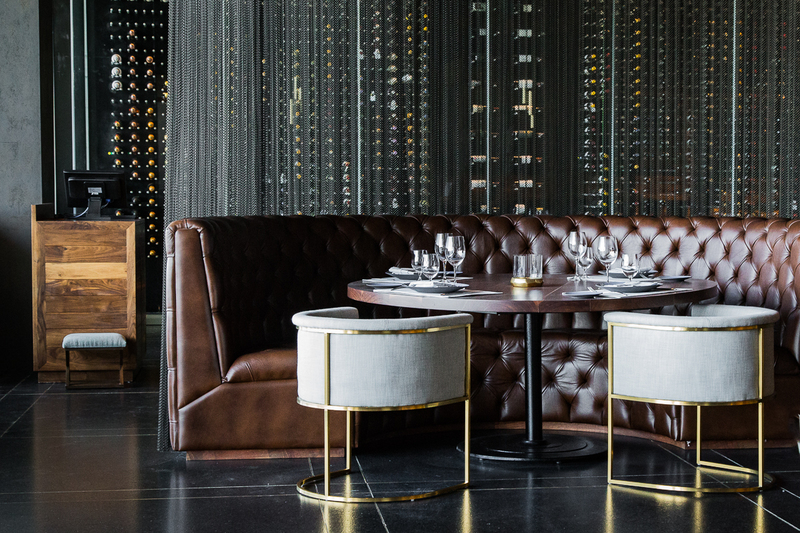 An elevated premium beverage program is on-sight offering the best spirits, beers and wine. 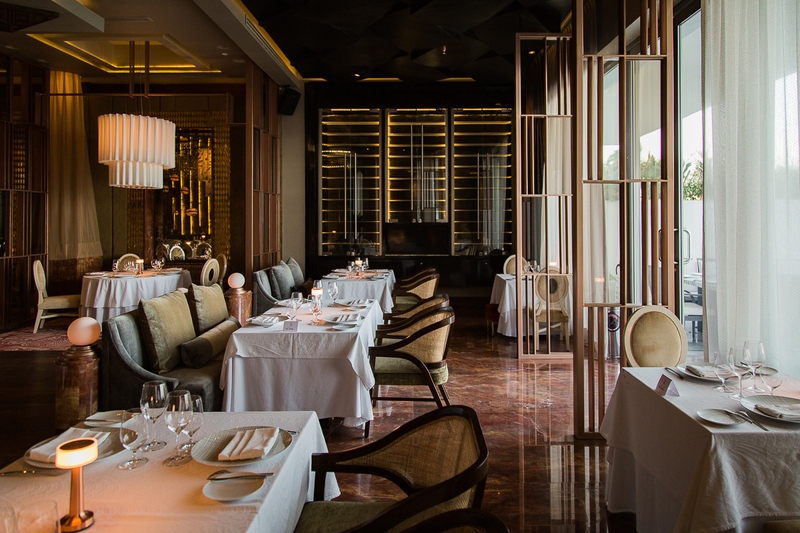 There are five fine dining restaurants led by executive chef Juan Licerio Alcala and featuring two star Michelin chef Sidney Schutte. 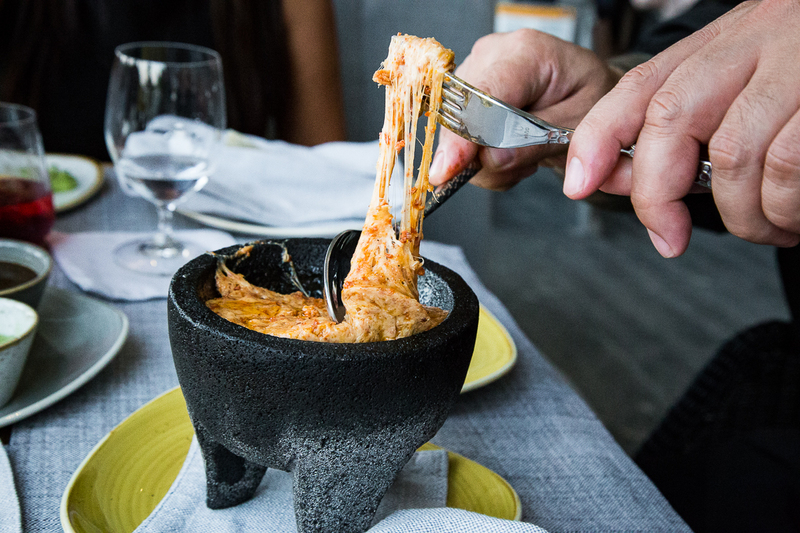 It’s hard to believe that the food served here is from an all-inclusive resort because until you have stayed at Grand Velas Los Cabos, your view on all-inclusive was probably never this luxurious. 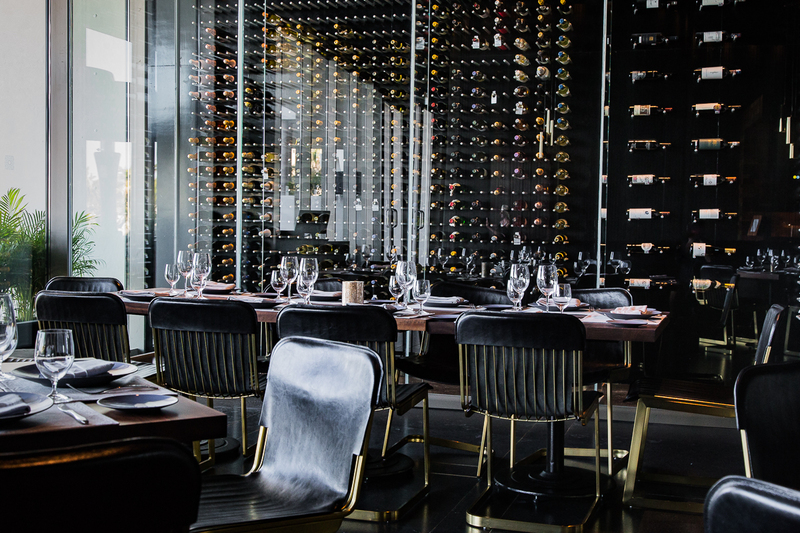 Dining is very much a highlight of staying here and that's why the resort should be on every food-loving traveler’s list of places to visit. 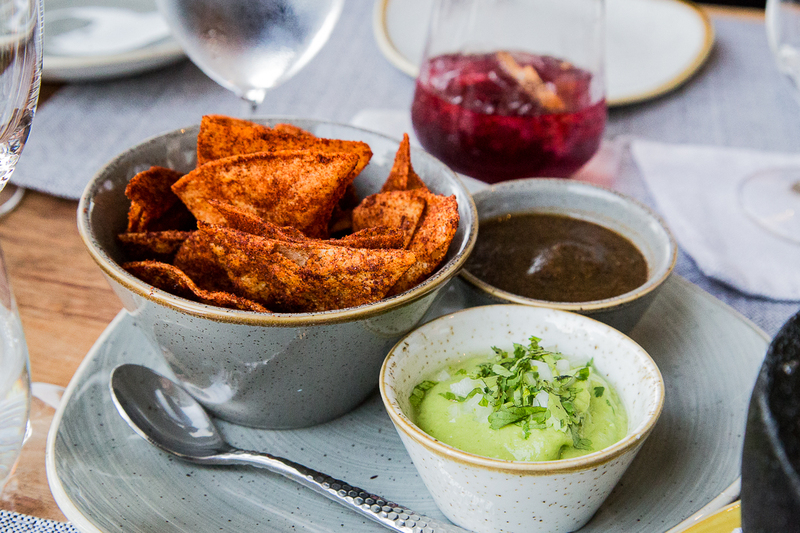 The cuisine at Grand Velas, without a doubt, is the best we’ve ever had from any all-inclusive resort. 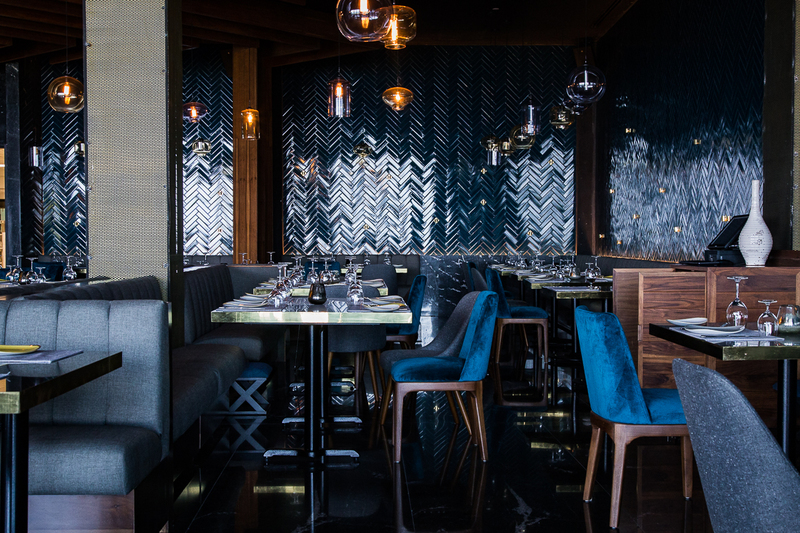 Lucca Restaurant - features Italian and Mediterranean cuisine. Poached local grouper with celery root puree, bone marrow and porch demi, pickled carrots. 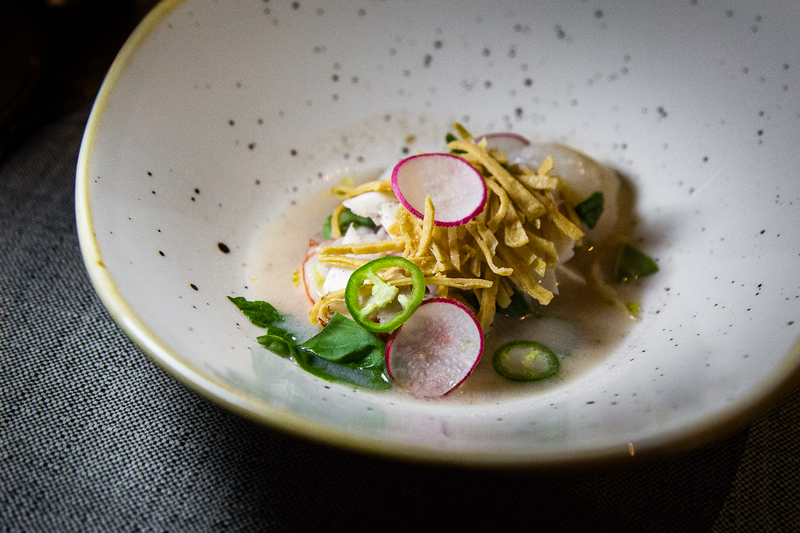 Pickled seafood by guest chef Katsuji Tanabe - lobster, scallop, octopus, oysters, coconut, basil, mint, chile. 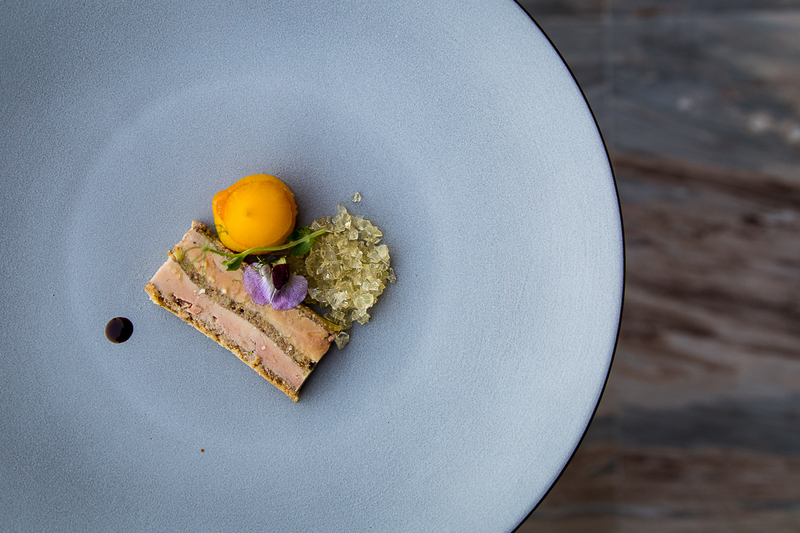 Terrine of foie gras mi-cuit & spicy bread with little poached pear stuffed with saffron chutney. 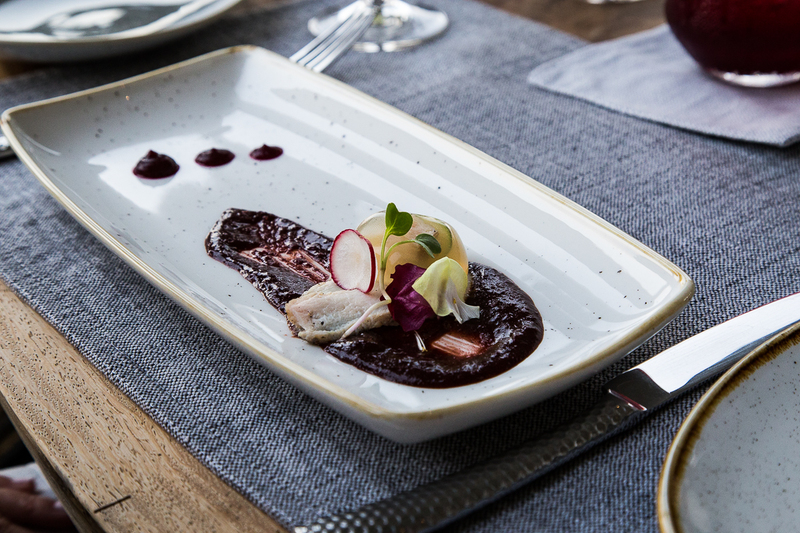 Cocina de Autor: Creative cuisine, adults only. Helmed by two star Michelin chef Sidney Schutte. 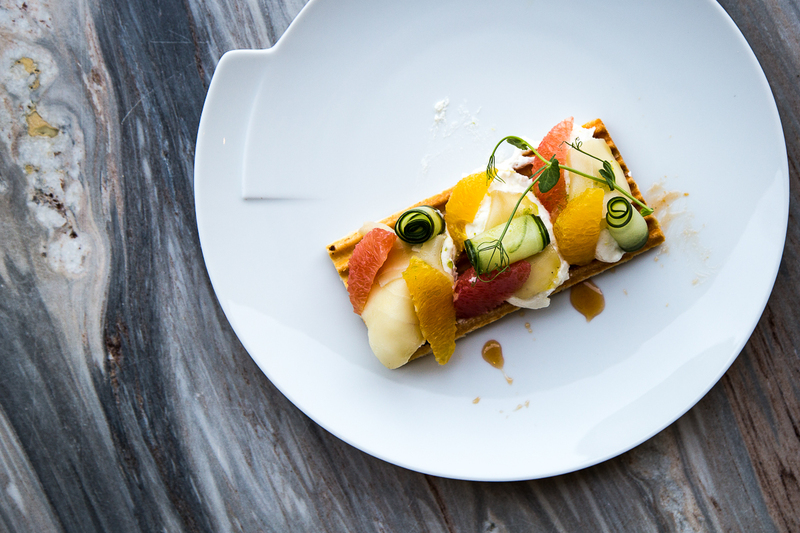 Smoked swordfish tart with citrus salad, cucumber and sea asparagus. 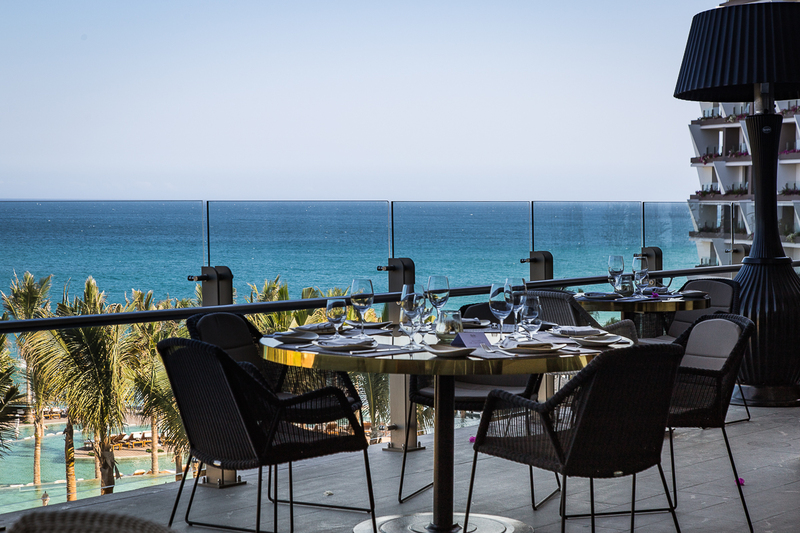 Outdoor dining spaces with breathtaking ocean views. 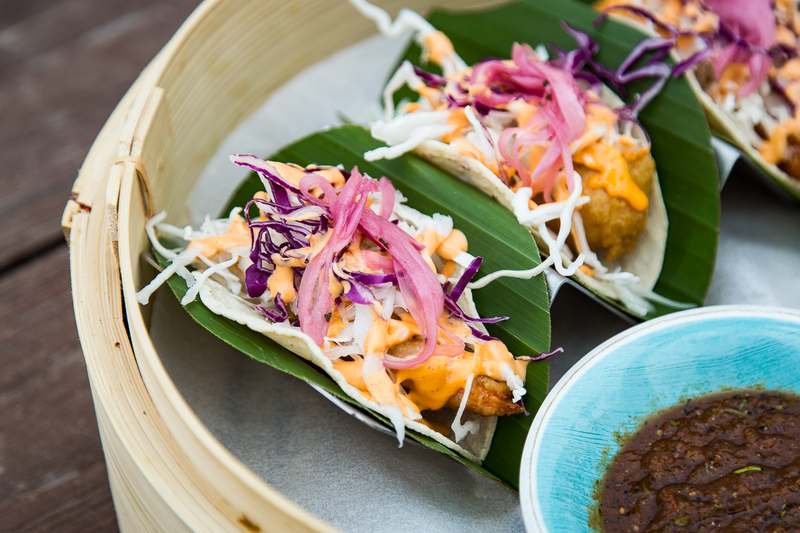 Poolside dining options - Baja style fish tacos. 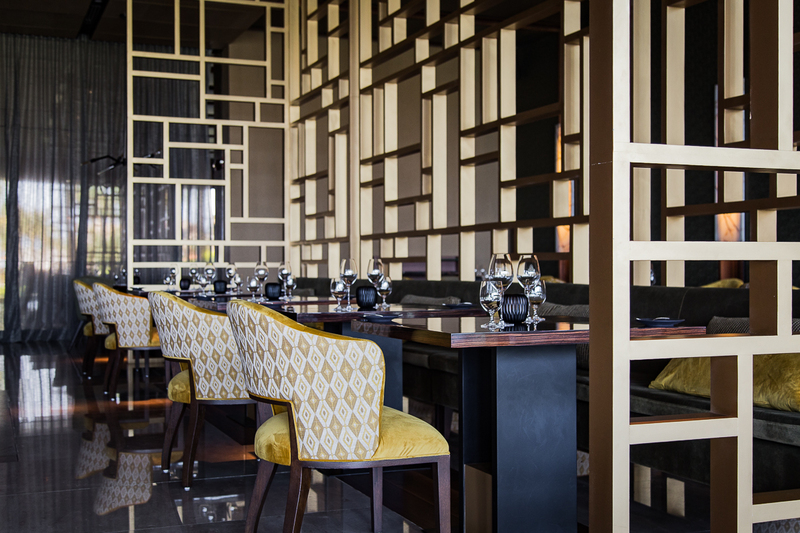 Azul - casual all day dining with buffet options. 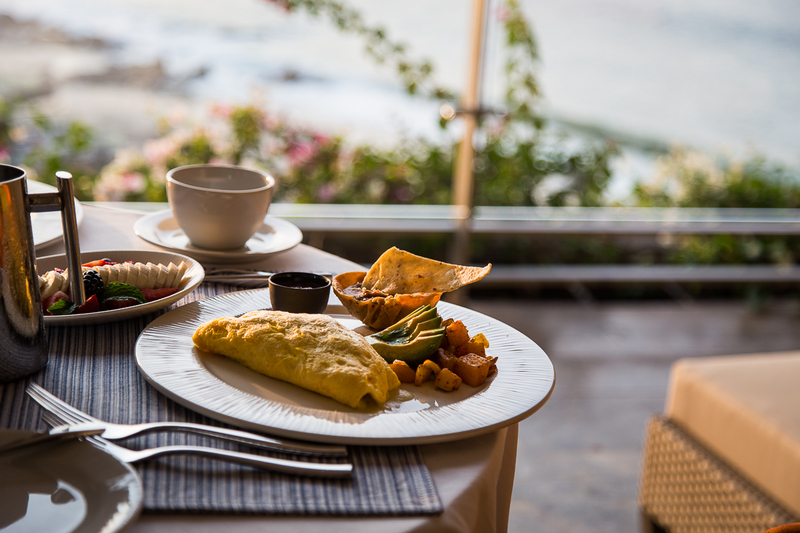 24 hour in-room dining makes for a great way to have breakfast delivered to you. 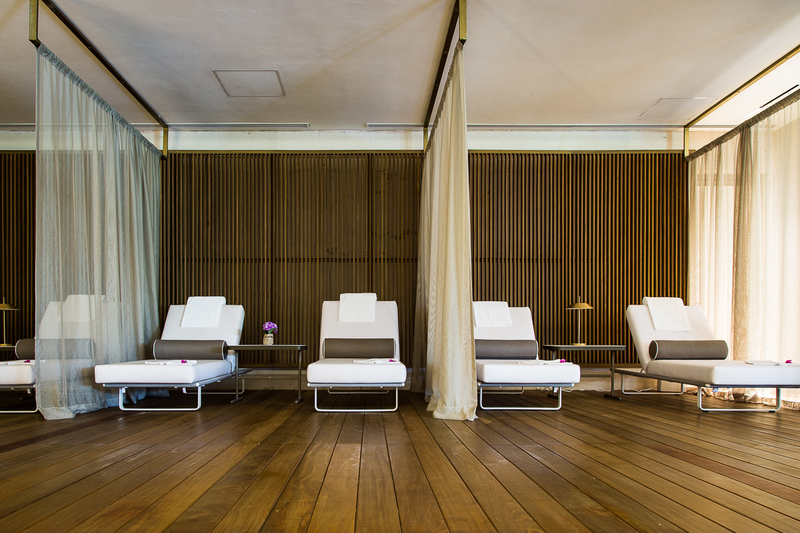 Of course a true Cabo getaway isn't complete without a visit to the spa. The two-level, 35,000 sq. 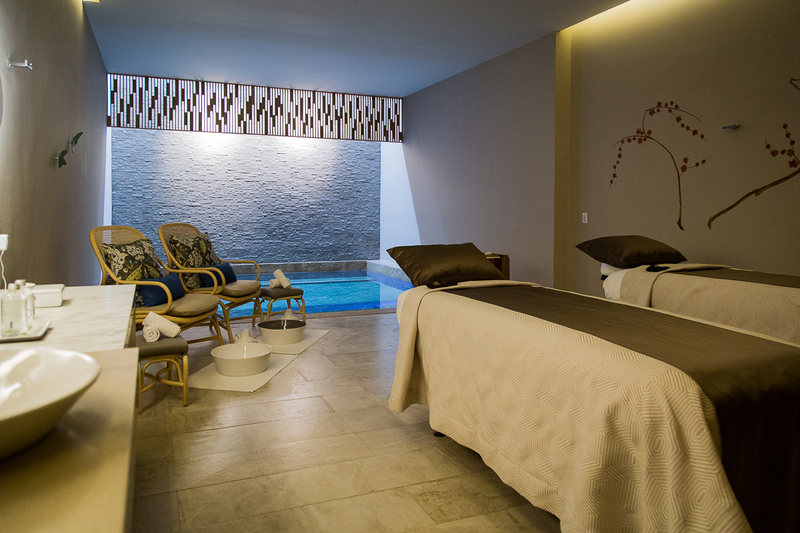 ft. Spa at Grand Velas Los Cabos is one of the best spa experiences you’ll have. 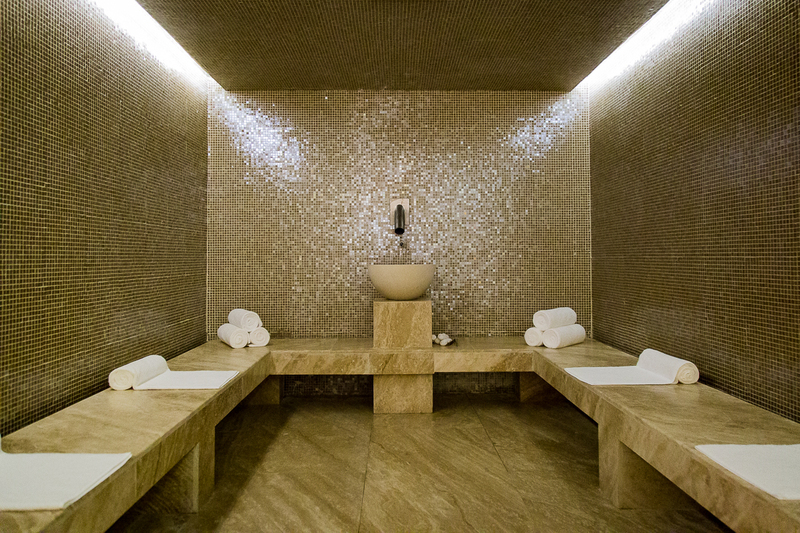 Your treatment is preceded by a seven step water journey that features a eucalyptus-scented steam room with chromotherapy, polar pool, aromatherapy sensory shower, sauna, Jacuzzi and multi-sensory pool. 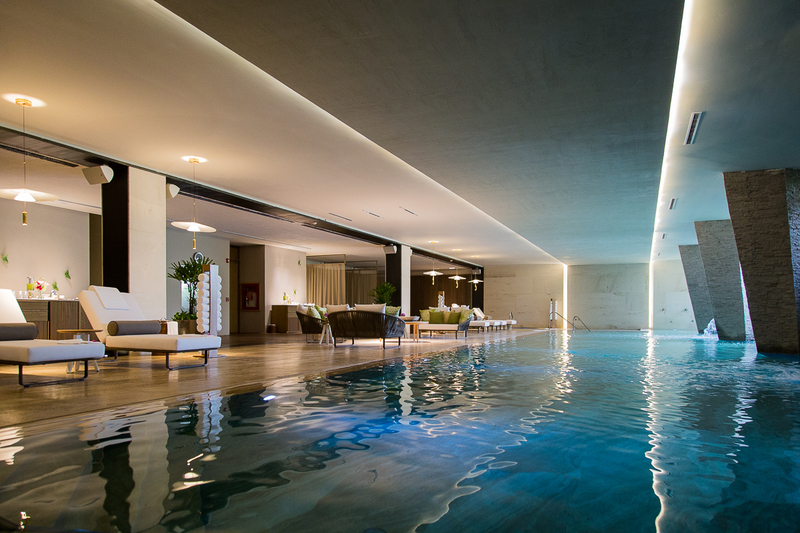 The main pool features several hydro elements such as powerful massaging faucets for your neck and back, as well as bubble beds - carved-stone chaises with jets set right underneath the surface of the water on which you recline. 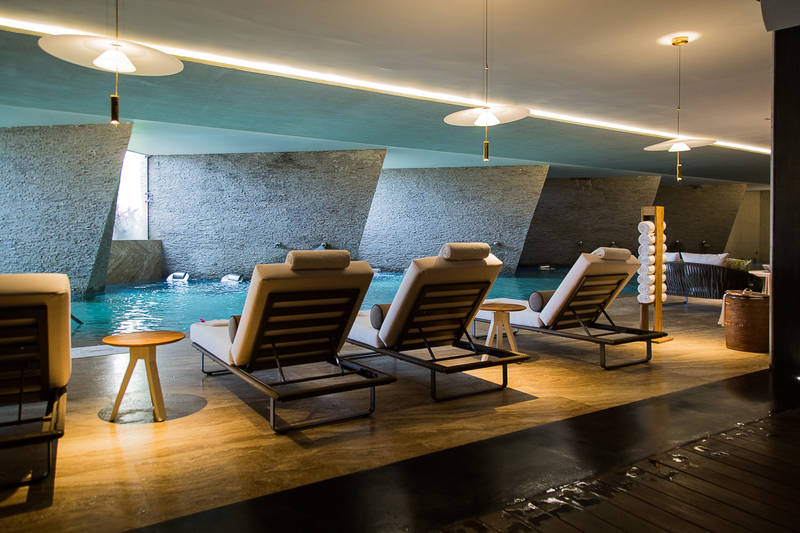 A spa valet provides personalized direction to make sure you get the most out of the truly relaxing hydrotherapy experience. 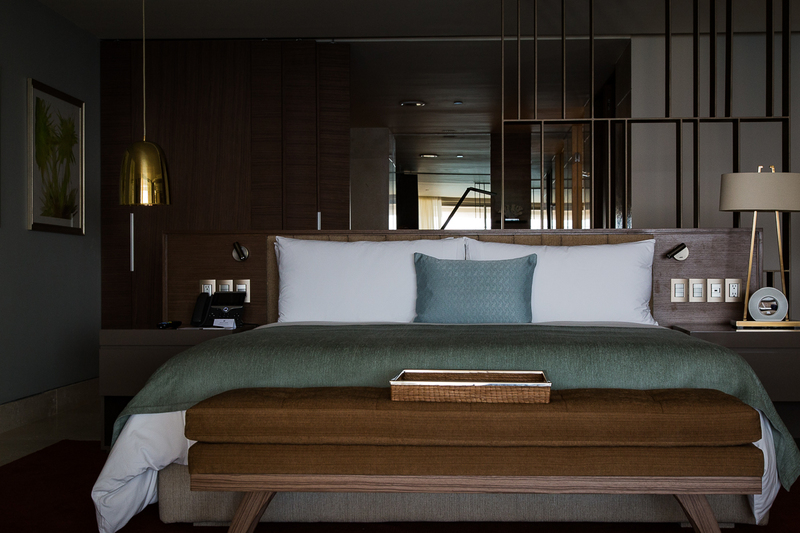 Upon completion of the journey, you recline on heated loungers with warm neck pillows, cool scented towels and cucumbers on the eyes to ensure the body is fully relaxed and ready for your massage. All gender central pool features several hydro elements. Ice Room - part of the seven step water journey during hydrotherapy. 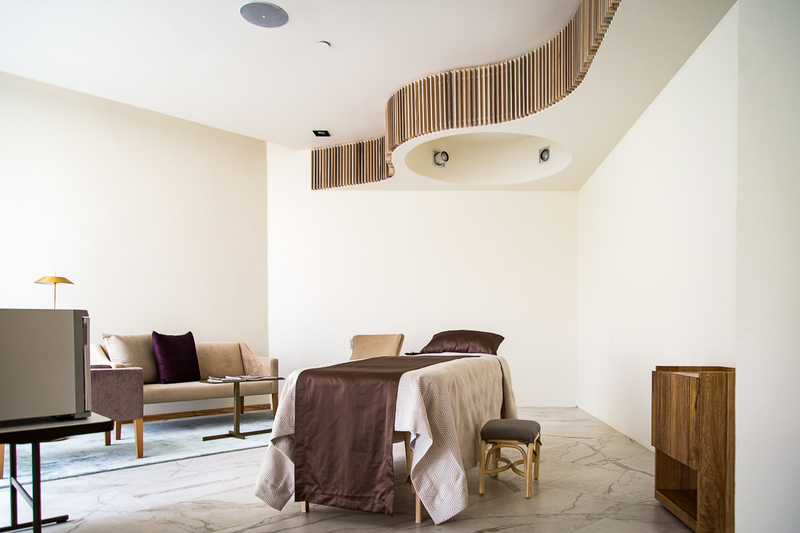 Couple's treatment rooms with private spa. 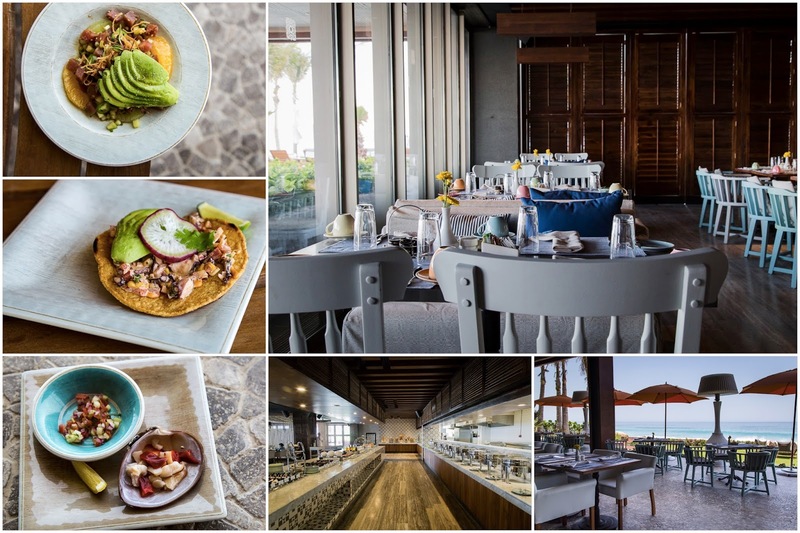 It's difficult to compare Grand Velas Los Cabos to anything else because it has set the bar very high on what a beachfront all-inclusive resort should look like. With a world-class spa, superior culinary program, and excellent service, this beautiful property is tough to beat. 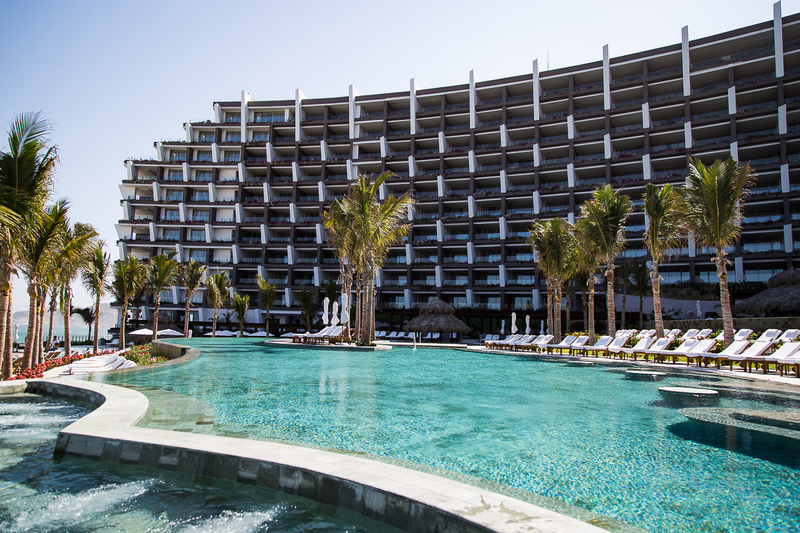 After many visits to Cabo, experiencing several different resorts, both all-inclusive and non-all-inclusive, Grand Velas Los Cabos has become our favorite. 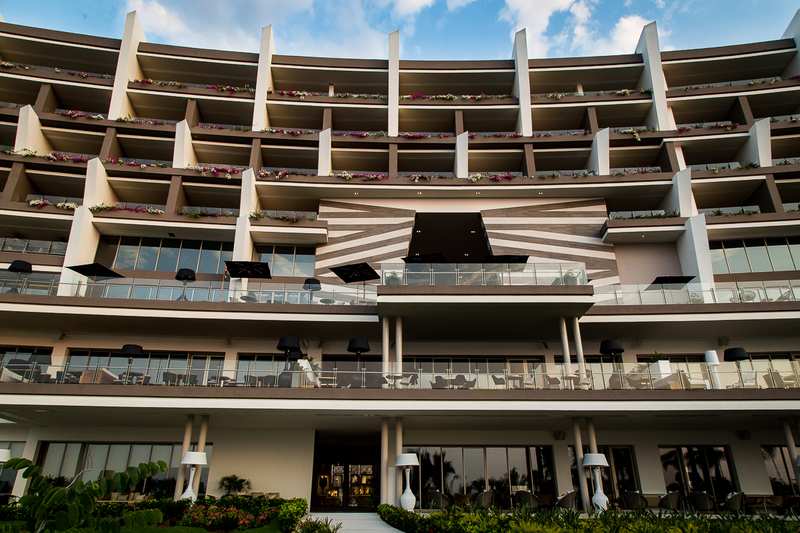 It's indeed beyond all-inclusive, meeting your every need and stands beyond compare. 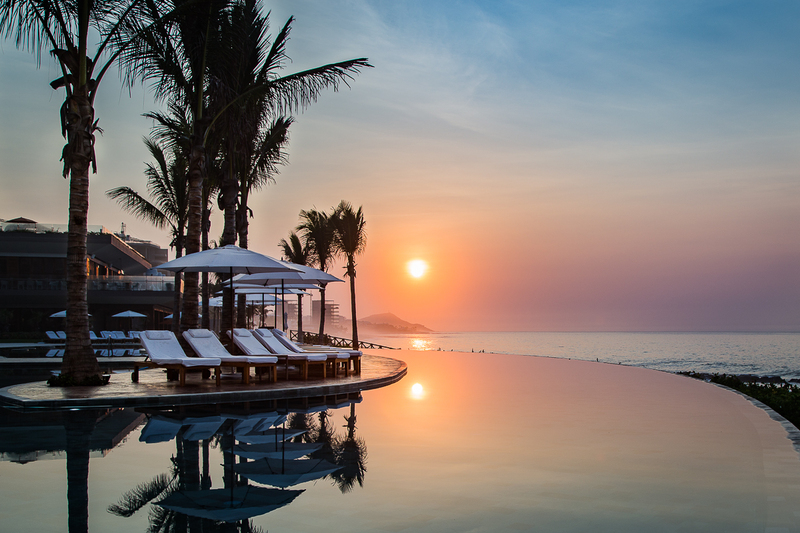 Three infinity pools all with different temperatures and amenities such as a swim up bar. 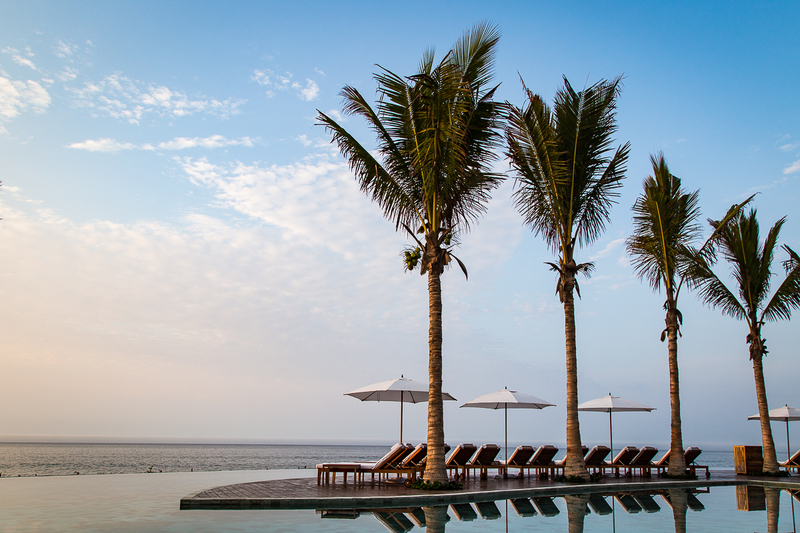 Iconic open-air lobby overlooks the ocean. 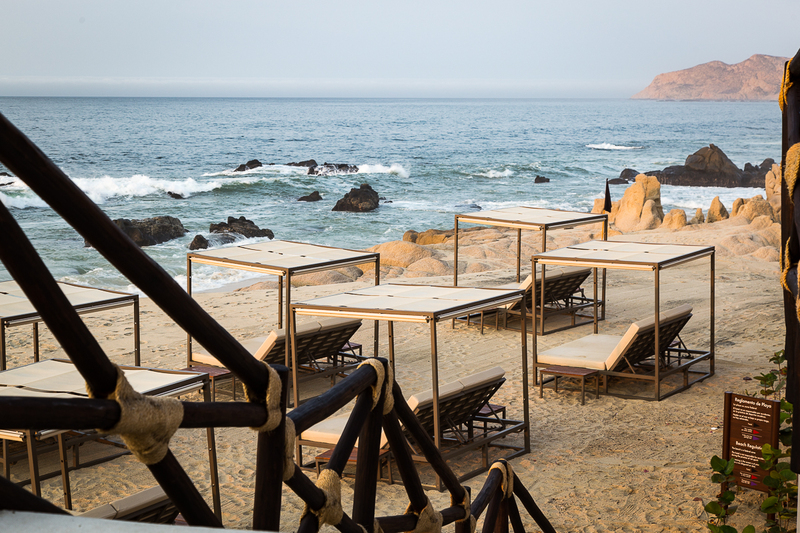 Beach cabanas with full service from the ceviche bar. 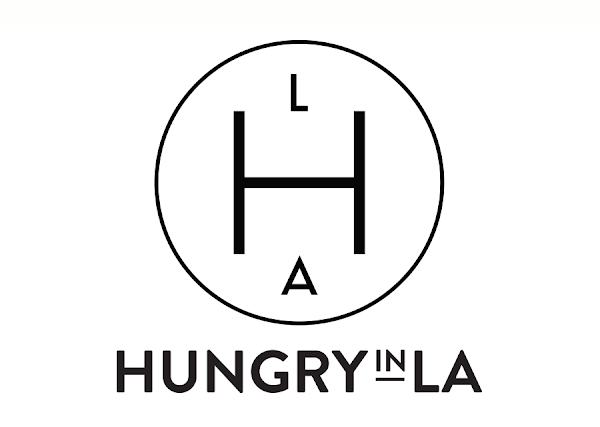 Special thanks to Grand Velas Los Cabos for collaborating with Hungry in LA. As always, the content and opinions expressed here are entirely our own.